Last Thursday, December 10th, the annual Nobel Prize Award Ceremony was help. Since 1901, 156 individuals have been awarded the Nobel Prize in Chemistry. Of those 156, ONLY FOUR are women. Learn more about the four amazing women laureates. 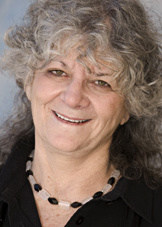 This year the Nobel Prize in Chemistry was awarded to Ada Yonath, Venkatraman Ramakrishnan, and Thomas A. Steitz. The last woman to be awarded the Nobel Prize in Chemistry was in 1964. With your continued support; one day a Girlstart alumna could be the next Nobel Prize in Chemistry winner.